I tried to analyse the number of Kenyans in Germany last time and wrote: How Many Kenyans are in Germany and What do they do? That analysis gave me a total of 9,414 Kenyans living in Germany using data from the census held in 2005. As expected this number has increased and it seems we are much much more than we actually thought. Children born to Kenyan parent(s) usually children born to Kenyan men because only Kenyan men were allowed to pass on their citizenship to their children. Most Kenyan women with children with foreign fathers or whose fathers didn’t claim them, usually used to get German citizenship or the child’s father’s citizenship. Kenyans who are out of status, those are Kenyans who came in legally and never left. The assumption here is that the number hasn’t changed from 2005, that was the last time we had an updated value. This number doesn’t include those who came in illegally through the porous borders. Before you ask, I know you would want to ask why there were 9414 Kenyans in 2005 but only 9246 in 2010. The reason is simple. The sum of 9414 had tried to incorporate the Kenyans living illegally in Germany and Kenyans born in Germany. Kenyans born in Kenya accounted for 9,246 in 2010; 9446 in 2011 and 9845 in 2012. Kenyans are the 7th largest Sub-Saharan African community in Germany after Ghanaians, Togolese, Nigerians, Ethiopians, Eritreans and Cameroonians. So as of 2012 data which was released in October 2013. How many Kenyans are in Germany? It is safe to assume that the real number could be much higher if we got the concrete data of the remaining groups without having to extrapolate or make assumptions. We can currently assume that the number of Kenyans in Germany is at least 15,000. We encourage all Kenyans in Germany to register with the Embassy (Read: Step by Step guide on how to register at the embassy), it will help know our numbers as well as make it easier to locate family in cases of emergencies. 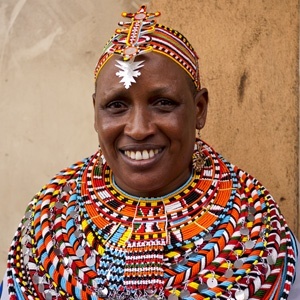 The oldest Kenyan is a woman aged 82 and lives in Baden Württemberg. The oldest man is 80years old and lives in Niedersachsen. There are no children in Mecklenburg-Vorpommern and Thüringen, where in both States the youngest Kenyan is 5years old. The oldest Kenyan born in Germany is 38yrs old and two others are 33 and 30. The number of Kenyans in all States increased apart from Rheinland Pfalz where the number dropped from 432 (2010) to 416 (2012) Schleswig Holstein 252 (2010) to 249 (2012) and Saarland 104 (2010) to 101 (2012). The most Kenyans live in NRW (1966) while the least live in Mecklenburg Vorpommern (24). The number of Kenyans in Munich (362) and Köln (358) are more than the number of Kenyans in Mecklenburg Vorpommern (24), Thüringen (45), Bremen (98), Sachsen-Anhalt (61) and Saarland (101) combined.